Do u have a passion for cookery? Wanna Study more? 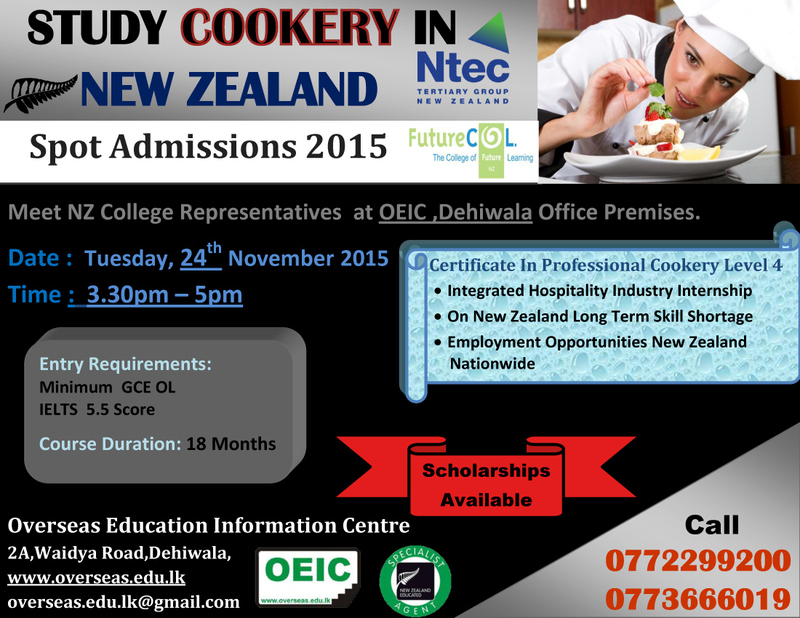 Study Cookery in New Zealand.Spot Admission Session . 24th November 2015,3.30pm to 5 pm at OEIC Dehiwala office. Feel Free To Call 0773666019 / 0772299200 For More Information.